American video game developer Telltale Games announced last Friday that they were closing the studio. This came as a shock as many gamers are waiting in anticipation for Telltale releases such as: The Walking Dead: The Final Season, The Wolf Among Us Season 2, Stranger Things, and Game of Thrones Season 2. Alas, the wait is over for all of these titles, but not because they’ve arrived. Instead, they’ve all been cancelled. A little backstory: Telltale Games started in northern California in 2004. The company developed many beloved games that gave new life to many of our beloved TV shows and films. Tales of Monkey Island (2009), Back to the Future: The Game (2010), and Jurassic Park: The Game (2011) were all fan favorites. Despite the success within the geek squad, Telltale didn’t hit mainstream fame until 2012, when they released a five-episode game: The Walking Dead: Season One. The Walking Dead: Season One gained positive reviews, revitalizing the adventure game genre and racked up numerous video game awards and nominations. Telltale Games stood out because of their unique format: they told an episodic story much like television shows. Each season had an average of five episodes (released once a month) and each episode had one to two hour storylines. Gameplay was adapted based on the choices you made so you had no idea where the storyline was going to take you. The narratives were strong and heartfelt. The gameplay was intense. Gamers would get attached to protagonists like Lee, Clementine, and Bigby Wolf, allowing diehards and even non-gamers to enjoy playing. What made Telltale Games great wasn’t just the narratives, the talent, and the worlds they expanded. They enticed people who were intimidated by the competition to play video games and allowed recreational gamers, who didn’t always have the time to invest in an epic, time-consuming storyline, to turn on their consoles, computers, or iPads and delve into a world without feeling like they had to invest a lot of time to make headway into gameplay. Due to the lack of sales, Telltale announced on Friday that they were closing their doors and narrowed their previous staff of hundreds down to a mere 25. It was a heartbreaking moment for me. I’ve been looking forward to continuing the journey of Bigby Wolf in The Wolf Among Us: Season 2 (Season One was in my top five games of the year in 2014). I’ll never know the fate of Snow or Bigby or Faith. Along with the cancellation of Netflix’s deal for Stranger Things and a Game of Thrones: Season 2, it feels worse to know they will never see the light of day rather than waiting for them. No more Batman: The Telltale Series, Guardians of The Galaxy: The Telltale Series, or Minecraft: Story Mode. These titles will only live on in memories. 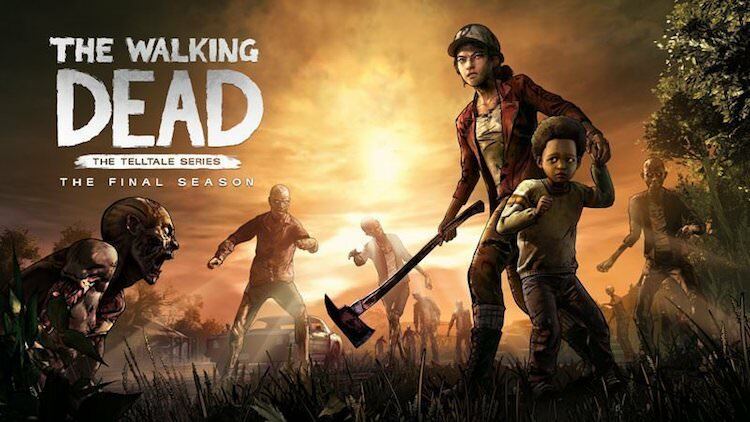 Telltale’s latest release was the first episode of The Walking Dead: The Final Season (you can catch my stream here). Initially, fans were hurt that we may never see this season come to a conclusion, but the latest news is that the downsized company will still release episode two as scheduled and are hoping to finish off episodes three and four before they close their doors for good. Of course, it isn’t just the fans who’ve been affected. My heart goes out to Telltale employees who’ve put endless hours into games we grew to love, whom sacrificed time with family and friends to bring out the gamer in us. You put your blood, sweat, talent, and tears into these games. You made my Friday evenings entertaining, gave us characters and emotions I didn’t expect a game to give me. Thank you and I hope that in this gaming lifetime, we will find you again. I’ve interviewed Adam Harrington (Bigby Wolf) and Dave Fennoy (Lee) and they’ve become friends. Voice actors are humble and appreciate their fans. They’re real, genuine, touchable people who I am sending out well wishes to. Finally, I’d like to say a fond farewell to a company that did their best in a billion dollar industry, managing to keep up for over a decade. Fan base isn’t enough. Awards aren’t enough. If you like a game, support it by making a purchase. Lesson learned. What do you think of the news? Are you shocked? Did you like Telltale Games? What was your favorite franchise? Sound off below! Follow me @Kaorious on all platforms to reach me – to mourn, but also to celebrate the Telltale art of gaming.